Welcome to Bay Ridge, a higher-income and more suburban neighborhood than Sunset Park. However, it still has significant diversity and vibrant commercial districts. However, one of those commercial districts is not on Bay Ridge Ave, where this Key Food is located somewhat out of the way. Its location notwithstanding, the store must be doing well. 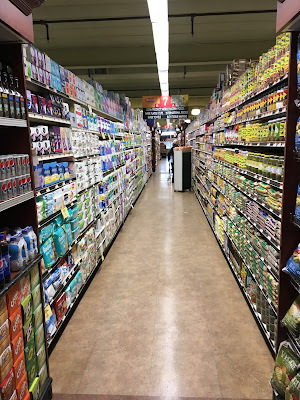 The 13,000 square foot facility opened in 2010 to a warm welcome by the neighborhood; at the time, Bay Ridge did not have many grocery choices. Just eight years later, the store is being almost doubled in size by expanding into the neighboring building. This expansion is coinciding with a rebrand as a SuperFresh. 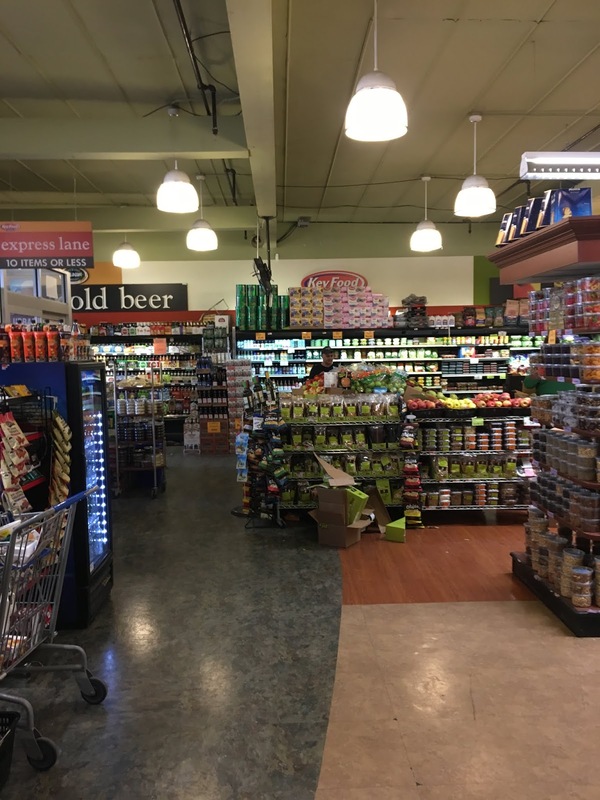 The new SuperFresh includes the space next door as well as the existing Key Food, although the store was already pretty spacious. SuperFresh recently held its grand opening. That said, I'm surprised they did any work at all. The Key Food was, for the most part, in fantastic condition and as I said, already pretty large for an inner-city store. There is free valet parking across the street -- valet probably because the garage is too small for people to park themselves! We enter to a large and fully-stocked produce department. Deli and bakery are at the back of the first aisle, with meats along the back wall, and dairy in the last aisle. A quick look across the front-end from the entrance. The store's produce department is very large, especially in proportion to the rest of the store. Clearly they are going more upscale in this location. Looking back across the produce department towards the entrance. A look across the center dividing aisle towards the dairy department on the far side. Deli/bakery towards the back of this aisle, including gourmet prepared dinners from a local company as seen here. It seems that this Key Food bakes in-store, since there was a lot of fresh bread. Deli and prepared foods follow. Key Food Bay Ridge does not have a service seafood department, although there was a small selection of packaged seafood for sale. Meats continue along the back wall. The aisles are clean and fully stocked, almost like a suburban supermarket. Slightly narrower than some suburban stores, though. Frozen foods on the far side of the store from the entrance. A look at dairy in the last aisle, which does not seem to have held up well. Oh well. They're going to replace it all anyway, or else move out of here! Looking across the center aisle back towards produce. 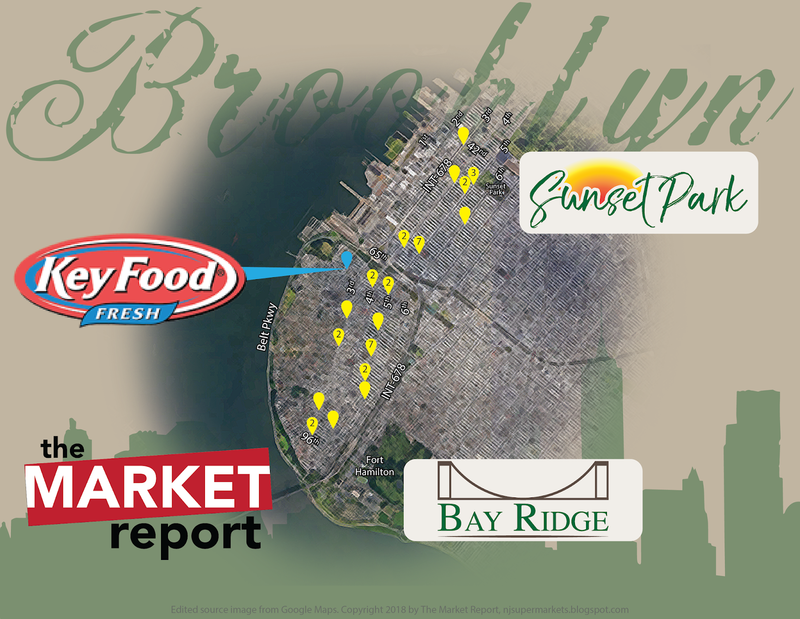 Bread Alone, a Hudson Valley-based organic bread producer, was visible here as well as a few other supermarkets in Bay Ridge. Five aisles, but they're doubled up, so it's more like ten, plus produce/deli. Of course, none of these items are actually under this sign. But we can't have too high expectations, now, can we? Customer service (with a sign that looks like it may have been, um, borrowed from the local Waldbaum's at Bay Ridge Ave and 4th Ave when it closed. Or just designed in that style. Pretty spacious front-end, actually, for a small store. I wish the new SuperFresh Bay Ridge the best of luck with their new store! 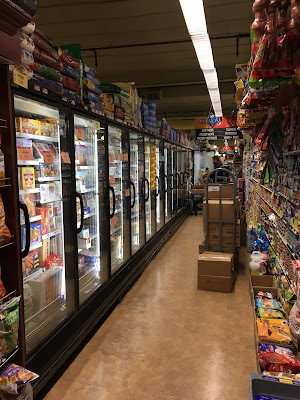 (Sam Abed, the owner of this store, also co-owns the two SuperFresh locations on Staten Island, as well as several other Key Food locations including the other Key Food in Bay Ridge...coming soon to a blog near you!) You can check out some post-renovation photos over on Yelp here.